This finance lease product allows the business customer to utilise a vehicle without tying up capital. The lease can be tailored with rentals in advance or arrears, flexible terms up to 5 years and a residual value that is set to reflect the vehicle’s usage and Australian Taxation Office (ATO) guidelines. GST is included in each rental and the residual value. If your business is registered for GST, you may be able to claim an ITC for this GST. Where the vehicle is used solely for business purposes, a tax deduction for the full rental may be available. 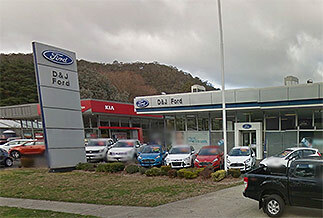 IMPORTANT NOTICE: MyFord FINANCE is a registered business name of Macquarie Leasing Pty Ltd (Australian Credit Licence 394925) (“Macquarie Leasing”) and is used under licence. Terms, fees and conditions apply. All applications and payment profiles are subject to the satisfaction of Macquarie Leasing’s approval criteria. No part of this document is to be construed as an offer capable of acceptance or as a solicitation to obtain a financial product. The information is not an expression of opinion or recommendation and does not constitute financial, accounting, taxation, general or personal advice and should not be relied on as such. The recipient should make its own assessment of any product or service referred to in this document and seek appropriate advice. Macquarie Leasing is not an authorised deposit taking institution for the purposes of the Banking Act (Commonwealth of Australia) 1959, and the obligations of Macquarie Leasing do not represent deposits or other liabilities of Macquarie Bank Limited. Macquarie Bank Limited does not guarantee or otherwise provide assurance in respect of any of the obligations of Macquarie Leasing.